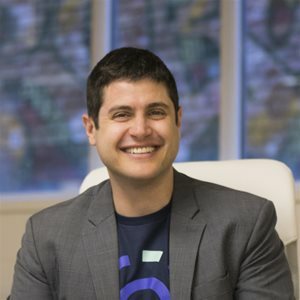 Kesem Frank, Chief Maven at Mavennet & Co-Founder of Aion, is a technology strategy visionary specializing in the blockchain industry. Kesem led multiple projects within Deloitte’s Technology Strategy and Architecture practice, before specializing in Blockchain technology. Kesem is an experienced team leader, having served as a naval officer with the IDF for 5 years. His passion for startups and innovation led him to join U of T’s Creative Destruction Lab as a program fellow.